The news that I no longer care about Family Guy failed to surprise anyone this past week. After a half decade, the love that had originally been there had slowly begun to change. First it became an annoyance to me. Later I began to hate the site of it. And at approximately 3:15 on Tuesday, it was established that I just don't care anymore. Some blame the lack of fresh ideas, while others the over the top material that no longer shocks. It is survived by my love of Phineas and Ferb, possibly the best cartoon on TV. 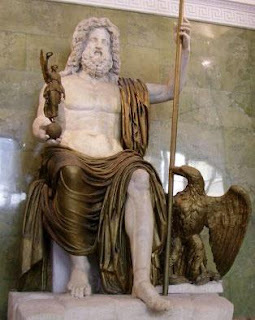 Considered 'king of the gods' in ancient Greece, and more commonly in North America as 'the guy who flashed me in the park,' Zeus, has died. Mistakenly immortal, Zeus had a glandular mutation that allowed him to grow older and bigger than most. While popular myth pictures him throwing lightning bolts from mount Olympus, this couldn't be farther from the truth. An autopsy has revealed that he was most likely autistic. Services will be held at Zeus's favorite place, the Chuck E. Cheese on 4th ave. Sad news as famed holiday symbol and McPherson family friend, Christmas Tree, was officially pronounced dead this past Wednesday. Known amongst the family as 'the little tree that could' Christmas had been holding out for two months drying out next to the heater. At last though, amidst the tearful eyes of his two young children, Tommy and Esmeralda Saccinington III (sic), Mr. McPherson declared the tree was too far gone. It goes on to meet it's brother Halloween Pumpkin, who passed two months back. Fans of the classic shows 'Soap' and 'Benson' will be thrilled to learn that the indefatigable star is still with us. Mr. Guillaume has had a a fantastic career that has spanned five decades and continues still. During the time he co-starred on the short lived, but excellent show, "Sports Night," Mr. Guillaume suffered a stroke. In short time however he returned. He has since done numerous things including video game voice over work. While I'm not totally convinced he's not using voodoo to stay alive, we at The Non-Review salute him and wish him decades to come. I f'n love these! I haven't watched a new episode in months as I think he's running out of steam. Watch the old reruns ton though. Sorry to hear about the passing of Zeus. One of the things I never do it proclaim my hatred for Family Guy in mixed company. Too many people who are 'simple' have a rabid love for this program. To me it's getting hit by a rubber chicken 1000 times and being expected to find it funny each time. It's worn out and tired. I can't stand Peter and when you hate one of the main charcters it makes everything else a struggle. Have I ever posted anything about this show on my blog ever? 'nuff said. I can't get enough of these! Though I still refuse to morn the loss of Family Guy. I maintain the first couple of seasons are solid and re-watchable. Here here for Phineas and Ferb! I love the non-obits -- especially anything that recognizes Robert Guillaume. I love that man! Thanks for being one of my newest followers. There is an award waiting for you over at my place. Please drop by when you have a chance. Ah, Zeus. I was really pulling for him. He'd had a rough spot around year 260, but bounced back in the 1200's. We thought we'd lost him again in 1702, when he tripped and fell half way down Mount Olympus. But no, he held on and made a pretty good recovery. I thought for sure he'd outlive Robert Guillaume. Vegas gave me great odds on that one. Oh, well. He will be missed. I'm also a fan turned hater of Family Guy. I think I'd had enough when Lois married Brian, and they kept re-showing that episode. Love your line about Zeus being a flasher in the park. Alas, poor Family Guy. It is dead to me, also. Wow.. Family Guy should feel lucky to have been cared for even that long.. My obit would have been err 2007? 2006? Have you done an obit for SNL? AsBlack, lol, I love all the weird things captcha comes up with. Sometimes it matches up with the subject so well I think computers really are sentient. SNL... I like that, though I think like the phoenix it has many death dates. 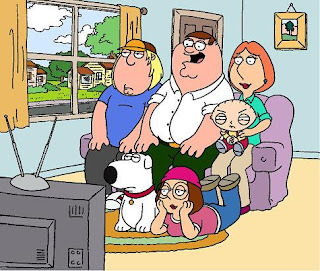 Oh man, it makes me happy to see so many people on here bashing Family Guy. Yes, they've had some great shows - but they need to open up the doors and let some new ideas in.